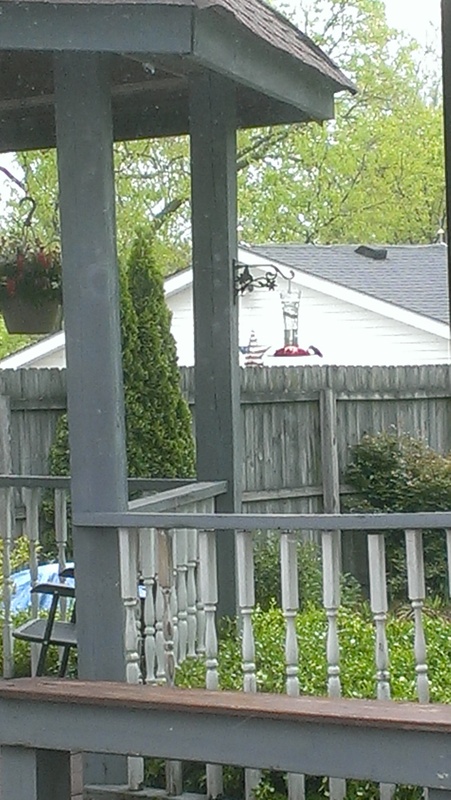 On 5/17/2013, I placed a hummingbird feeder alongside the back deck. Within an hour, we had our first visitor! !